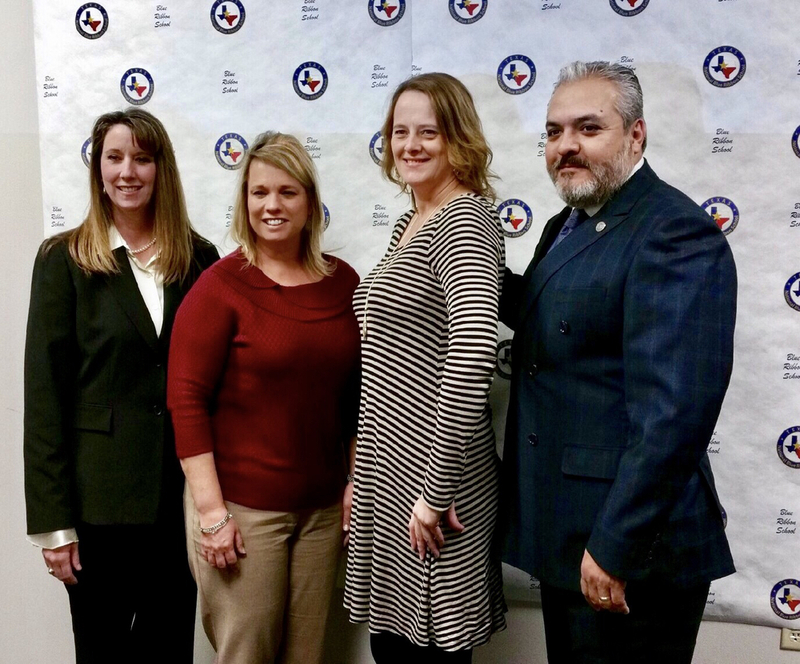 State Board of Education Representative, Ruben Cortez, Jr., honored VVISD and Van Vleck Elementary this morning in Austin for being named a 2016 National Blue Ribbon School! Pictured left to right: Principal - Sarah Roper, Asst. Superintendent - Christie Dement, Teacher - Tiffany Koliba, and SBOE Secretary - Ruben Cortez, Jr.